Sometimes you just want to quickly connect to Exchange Online and Azure Active Directory only to update some user or mailbox configurations. 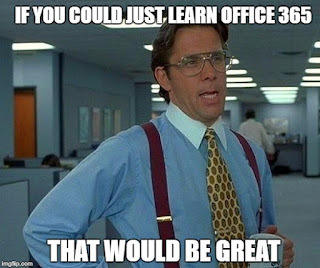 As much as I love my script that connects to ALL of the Office 365 services in one hit, sometimes I just want to connect NOW and I don't need connections to SharePoint and other services. That is where this new(ish) script comes in. I originally created it on January 2017, and as my very first connection script, it was very basic, and only connected to Exchange Online and Azure AD v1 (MSOL). Not long after that, I updated the script to v2 (Link) and it included connection to ALL Office 365 services. The updated v2 script is extremely popular and it has nearly 3,000 downloads to date. I ignored the original script as I was happy with the new version, and I even put an update on TechNet advising about version 2, but people found it organically and it has now racked up nearly 1,500 downloads. Pretty impressive as I have never promoted it via my social media presence! So here it is, what is old is new again. I have spruced up the script a little bit and added connection to Azure AD v2, but it is still the nice, tight script I wrote all that time ago. So if you just want to quickly connect to Exchange Online and Azure AD, this is the script for you ! To connect to Office 365 and Azure AD via PowerShell, follow the steps below. Pre-requisites - First you need to ensure your desktop PC is configured to connect to Office 365 via PowerShell. I still recommend you install all the modules to ensure you can connect to all the Office 365 services when you need. In the 'Edit the variable section, you will see one variable to update. Once you click the green arrow and run the script, a PowerShell credential box will appear. This is prompting for your password for the Office 365 admin user that you edited in the script. If you have correctly updated the script and saved it with your tenant admin user logon, the script will automatically populate the User name field with the logon you updated with. A green progress bar will appear as it connects and verifies what permissions you have. You will then have text appear similar to below. To test and confirm successful connection to each of the three services, run the following cmdlets. You have now confirmed that you can successfully connect via PowerShell to Exchange Online and Azure AD services via the Connect-Office365-Basic script.